Journals are raising ethical concerns about the research of a doctor who offers controversial embryonic stem cell treatments. Two journals have issued expressions of concern for three papers by Geeta Shroff, who was the subject of a 2012 CNN investigative documentary. All cite ethical concerns; one mentions the potential link between the procedure the authors describe and a risk of forming teratomas, a type of tumor. Shroff has objected to all three notices. 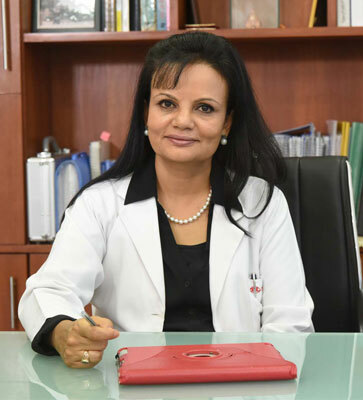 Shroff, a doctor offering controversial embryonic stem cell treatments at her New Delhi clinic, Nutech Mediworld, has said that for years she couldn’t find opportunities to present her research to the medical community. In “Selling a miracle?” the documentary about Shroff, CNN looked into the stories of former customers, including some who felt she’d given them “false hope.” The film touched on the absence, at the time, of peer-reviewed articles from Shroff on the safety and effectiveness of the experimental stem cell injections she offers. You can’t come and read your paper. Since then, she’s published at least 17 papers whose citations have been indexed on PubMed. But two journals have taken a second look at her work. On Sept. 18, Clinical Translational Medicine (CTM) issued editorial expressions of concern (EoC) for two papers published by Shroff; the other, issued the same day, came from a paper in the Journal of Translational Medicine. The journals, both owned by Springer Nature, have issued similar notices. to alert readers that concerns have been raised regarding the ethics of this study. Appropriate editorial action will be taken once this has been fully investigated. The author disagrees with this notice. Originally published in October 2016, that paper has been cited once, according to Clarivate Analytics’ Web of Science. Shroff is the sole author. The notice for the other paper in that journal, “Role of physiotherapy in the mobilization of patients with spinal cord injury undergoing human embryonic stem cells transplantation,” was almost identical, with the addition that the journal had reached out to Shroff’s five co-authors, but hadn’t received a response. The paper has been cited once. The Editor-in-Chief of the Journal of Translational Medicine is issuing an editorial expression of concern to alert readers that concerns have been raised regarding the ethics of this study and the potential association of the risk of teratoma formation with the transplantation of embryonic stem cells. Appropriate editorial action will be taken once this has been fully investigated. The authors disagree with this notice. That 2014 paper has been cited 11 times. A spokesperson for BioMed Central (part of Springer Nature), which publishes the Journal of Translational Medicine, said the journal would not comment on the paper beyond the notice. CTM has not yet responded to our request to provide further details on the nature of the ethical concerns. We were unable to reach Shroff by email. Her clinic told us she was unavailable to talk by phone. Your note (including typos) doesn’t make sense in this context. It *was* relevant in the other article where you posted the identical comment. Retraction Watch is properly letting the readers know they have reached out to the researcher and have yet to get a comment directly from her. I believe Dr. Shroff when she says the ISSCR would not let her present. They have never refuted that and she’s said it many times. My question would be why not let her present and then comment/criticize, applaud, debunk or whatever would be appropriate. Shutting someone out is not how we learn more. I have been to Nutech MediWorld and had treatment. It did not work! Beware!!!!! Dr. Shroff is just trying to give other false hope. She does a one size fits all and trial and error. Sorry but 50k is too much to risk not getting better. Has anybody used her stem cell treatment to treat kidney failure?